One would think that, after helping to raise millions of dollars for charities in the past 9 months, Benefit Auctioneer Scott Robertson would unwind during the summer. Kick off his shoes. And simply relax at his Fort Myers, Florida home. Well, that’s not Scott. 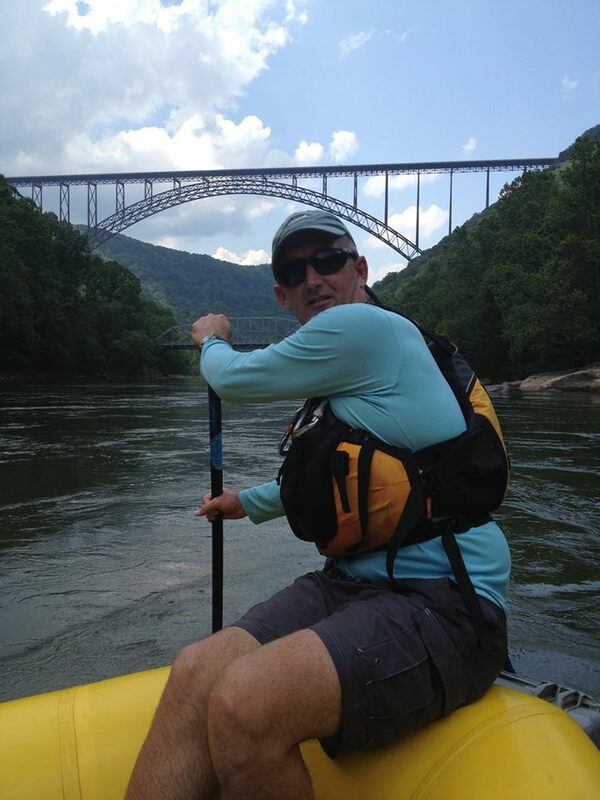 Instead, he’s spending his summer – his time off from his hectic auctioneering world – to guide hundreds of white water rafters down a fast-flowing river in what they often consider an adventure of a lifetime. According to Scott, being an auctioneer and being a white water rafting guide, his two passions besides his wife Mary of course, have many similarities. Scott’s career as an auctioneer began over 20 years ago. But his love for the water – and auctions – started much earlier than that at his childhood home about 50 miles outside of Lexington, Kentucky. Scott’s early adventures on Flat Creek didn’t stop at rafting. While fishing the swift and cold Kentucky stream he also learned about water flow by observing the bobber at the end of his line. As often as he could he would be found floating on the creek or fishing from its bank, Scott spent just as much time with his dad, a farmer, and his mom, an antique storeowner, attending auctions. That’s when he began appreciating the concept of the auction and the power of the auctioneer. 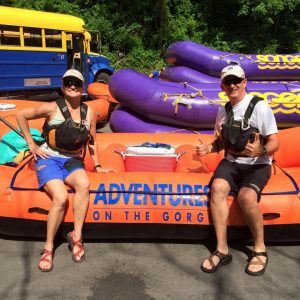 It was 34 years ago this summer when Scott first put his rafting skills and water current knowledge to the test when he became a rafting guide for Adventures On The Gorge on the New and Gauley Rivers in Fayetteville, West Virginia. 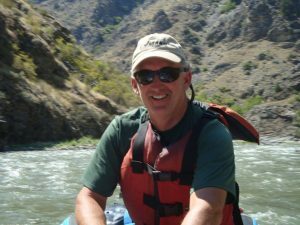 During one of his rafting trips last year Scott realized there were several similarities between his career as an auctioneer and his summer job, of being a white water rafting guide. Another comparison can be stated in four words: Living in the moment. Then there’s analyzing the audience. According to Scott, an auctioneer must be able to size up the attendees at a fundraising auction to maximize the charity’s profit. The same holds true for those eight individuals boarding the white water raft. The guide must be able to size up each passenger and play to their strengths to minimize their weaknesses. The final two comparisons are Scott’s favorites. “Everyone depends on my leadership role whether times are good or challenging. As a benefit auctioneer you must control the action from start to finish. The organizers and attendees of the event depend me to take charge of the auction and see it through to a successful completion. Scott, who turned 56 a few months back, said he has no immediate plans to hang up his wetsuit any time soon. In fact, he and his wife Mary, who he met while being a guide and is a guide herself, purchased 6 acres about four miles from the rafting company and relocated a 200-year old cabin on the site.